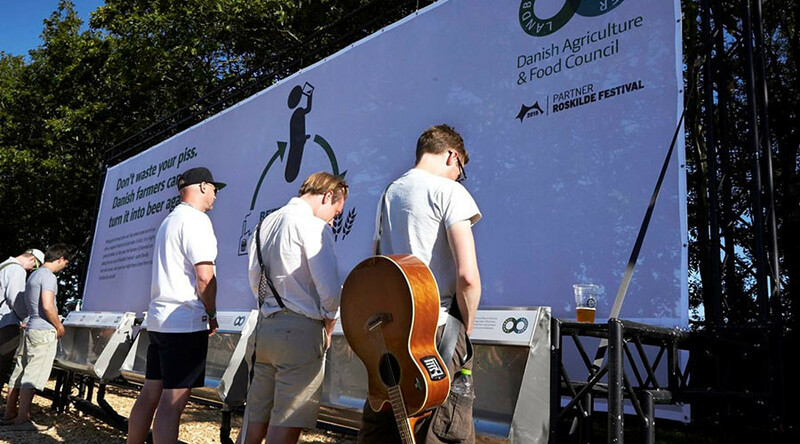 Nordic drinkers could soon be swilling ice cold lagers made using the urine of music lovers after the Danish Agriculture & Food Council announced the relaunch of an unusual recycling project involving festival urinals. This year, those answering a call of nature at the Roskilde music festival, Denmark, may also be providing a key ingredient for the production of liquid gold pilsner. While the pilsner does not actually contain human waste, urine collected from special urinals and storage tanks will be used to fertilize malting barley. The pilsner lager is being called ‘pilsner’ – although the Danish Agriculture & Food Council has posed other suggestions like ‘Yellow ale’ and ‘Pale piss’ on its official Twitter page. The project is a return of a 2015 ‘beercycling’ effort which saw 54,000 liters of Roskilde festival urine converted into “50 metric tons of fertilizer” for Danish barley fields. “Just as we have seen shops sell goods that would otherwise have been thrown out, Beercycling allows us to recycle a product that is normally flushed down the drain,”said Karen Haekkerup, CEO of the Danish Agriculture & Food Council. Beercycling English from Landbrug & Fødevarer on Vimeo. “When it comes to the circular economy, Danish farmers are some of the best in the world. If you can brew a beer with urine as fertilizer, you can recycle almost anything,” she said. “We want to be a part of the Beercycling project partly due to the story it has already told,” said Norrebro Bryghus director, Henrik Vang. “But also because it is interesting to partake in a project, which addresses the challenges of sustainability and circular economy. Basically, it is a cool project,” he said.